Charles Kingsley is remembered as a minor English novelist of the Victorian era. Those concerned with the plight of the poor find his novel Alton Locke a powerful work. Children meet his writing in a fairy tale, The Water Babies, which was an indictment of the cruelty done to chimney sweeps. Deeply concerned with the plight of those who suffer, a persistent theme in Kingsley's work was an insistence that the universe is not a heartless place. What he taught in books, he repeated in sermons. For Charles Kingsley was a minister in the Church of England. In July 1842, he became curate of Eversley Church in Hampshire and remained there the rest of his life. His sermons were not all preached in Eversley, however. 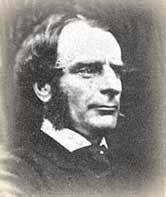 On this day, November 26, 1866, Kingsley preached a sermon at the Chapel Royal, St. James's. He named his sermon "The Meteor Shower." The text was Christ's words, recorded in Matthew 10:29, 30. "Are not two sparrows sold for a farthing? and one of them shall not fall on the ground without your Father. But the very hairs of your head are numbered." Naturalistic science, said Kingsley, had replaced superstition with "laws." But laws must imply a lawgiver. "Science frees us in many ways (and all thanks to her) from the bodily terror which the savage feels. But she replaces that, in the minds of many, with a moral terror which is far more overwhelming." If nature is merely the result of chance events, life is at bottom meaningless. "Tell us not that the world is governed by universal law; the news is not comfortable but simply horrible, unless you can tell us...that there is a loving giver, and a just administrator of that law." The laws of nature govern the movements of the earth and governed the stones it encountered in a meteor shower a few days earlier. "But did the thought occur to none of us, how morally ghastly, in spite of all its physical beauty, was that grand sight, unless we were sure that behind it all, there was a living God? Unless we believed that not one of those bolts fell, or did not fall to the ground, without our Father?" A loving father means that even deadly events-- sparrows falling-- had meaning. "Let us believe in our Father in heaven. For then that higher intellect-- that pure reason, which dwells not in the heads, but in the hearts of men, will tell them that if they have a Father in heaven, He must be exercising a special providence over the minutest affairs of their lives, by which He is striving to educate them into His likeness; a special providence over the fate of every atom in the universe, by which His laws shall work together for the moral improvement of every creature capable thereof; that not a sparrow can fall to the ground without his knowledge; and that not a hair of their head can be touched, unless suffering is needed for the education of their souls." Kingsley, Charles. Collected Works of Charles Kingsley. London, New York, Macmillan and Co., 1887 - 95. "Kingsley, Charles." Dictionary of National Biography. Edited by Leslie Stephen and Sidney Lee. London: Oxford University Press, 1921 - 1996. Kunitz, Stanley L. British Authors of the Nineteenth Century. New York: H. W. Wilson company, 1936. Wintle, Justin. Makers of Nineteenth Century Culture, 1800 - 1914. London ; Boston : Routledge & Kegan Paul, 1982.